The provincial education ministry in Alberta, Canada recently mandated an ICT Program of Studies that requires the infusion of digital technologies into core curricula. The effective implementation of this program of studies demands that teachers create inquiry-based, technology enabled learning environments for children across the grades. The creation of technology-rich learning environments calls for a shift in thinking for teacher preparation. We cannot continue to teach the next generation of teachers in ways we were taught. Instead, pre-service teachers must routinely encounter the effective infusion of technology in the normal course of their learning at the university and in their practicum placements in schools. This paper describes the design and implementation of a Special Topics Seminar: Integrating Technology in the Classroom offered to pre-service teachers in their final undergraduate semester at the University of Calgary. It outlines the ways in which this course addresses fundamental issues in technology integration, describes the success achieved, and suggests ways in which discoveries from the first two years of implementation are directing on-going modifications. Jacobsen, M., Clifford, P. & Friesen, S. (2002). Preparing Teachers for Technology Integration: Creating a Culture of Inquiry in the Context of Use. 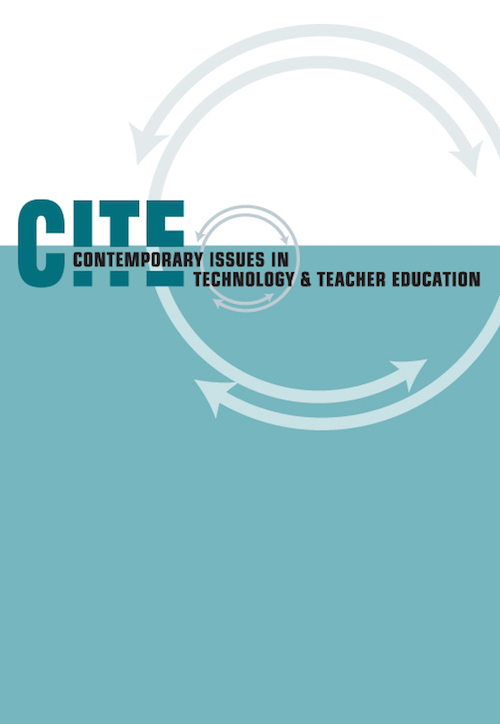 Contemporary Issues in Technology and Teacher Education, 2 (3), 363-388. Norfolk, VA: Society for Information Technology & Teacher Education. Retrieved April 21, 2019 from https://www.learntechlib.org/primary/p/17761/. Clifford, P., & Friesen, S. (2001). The Galileo educational network: Bringing learning to learners. Proceedings of ED-MEDIA World Conference on Multimedia, Hypermedia and Telecommunications, Tampere, Finland, June 25-30. Clifford, P., & Friesen, S. (1998). Hard fun: Teaching and learning for the 21st century. Focus on Learning II, 1, 8 –32. Clifford, P., & Friesen, S. (1993). A curious plan: Managing on the twelfth. Harvard Educational Review 63 (3), 339-358. DiSessa, A.A. (2000). Changing minds: Computers, learning, and literacy. Cambridge: MIT Press. Goldman-Segall , R. (1998). Points of viewing children’s thinking: A digitale thnographer ’s journey. New York: Lawrence Erlbaum. Graduate teachers of an educational ICT programme: Where are they now?